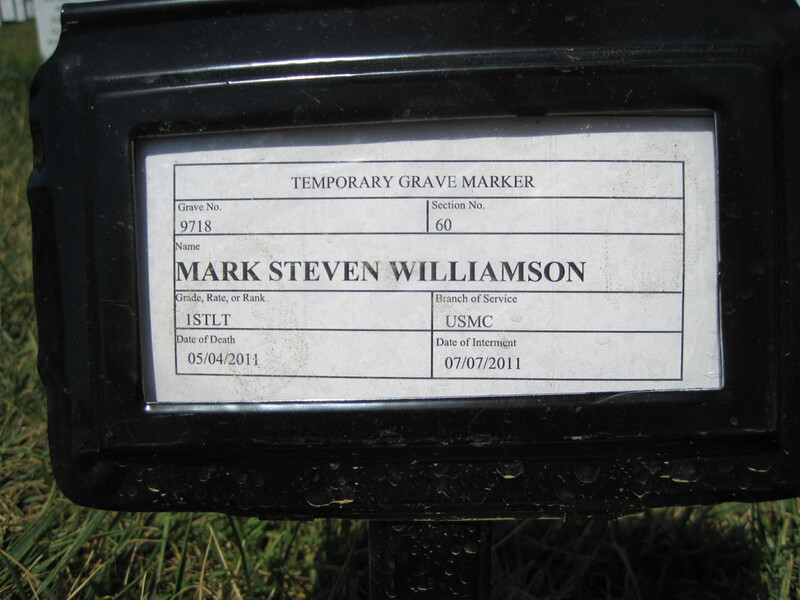 First Lieutenant Mark S. Williamson, USMC, 25, of 19 Wilson Avenue., Spencer, died Wednesday, May 4, 2011 at the Quantico Marine Base, Quantico, Virginia. He leaves his wife, Meghan C. (Hoskins) Williamson; his parents, Kevin P. and Joyce A. (Escolas) Williamson, Sr. of Spencer; his brother, Kevin P. Williamson, Jr.; his sister, Jennifer M. Williamson and his paternal grandparents, Ralph J. and Lois M. (McSherry) Williamson all of Spencer; his maternal grandparents, Richard A. and Virginia C. (Szczepaniak) Escolas of No.Oxford; many aunts, uncles and cousins. Mark was born in Worcester, and graduated from David Prouty High School in Spencer, Class of 2004, he later graduated with Honors from Norwich University in Northfield, Vermont in 2008 as a Commissioned Officer. He was a dedicated and proud Marine Corps Officer and was most recently based in Quantico with the Military Police. First Lieutenant Williamson's funeral will be private and at the convenience of the family with a Funeral Mass in Our Lady of the Rosary Church, Spencer. Burial with full Military Honors will take place at a later date in Arlington National Cemetery, Arlington,Virginia. The family has requested flowers be omitted, contributions may be made to the 1st. Lt. Mark S. Williamson USMC Memorial Scholarship Fund, c/o David Prouty Permanent Scholarship Fund, 302 Main St., Spencer, Massachusetts 01562.